“Timescales this short have never been explored before. It’s an entirely new world,” said one of the international team, Professor Anatoli Kheifets, from The Australian National University (ANU). At very small scales quantum physics shows that particles such as electrons have wave-like properties – their exact position is not well defined. This means they can occasionally sneak through apparently impenetrable barriers, a phenomenon called quantum tunneling. “At that timescale the time an electron takes to quantum tunnel out of an atom was thought to be significant. 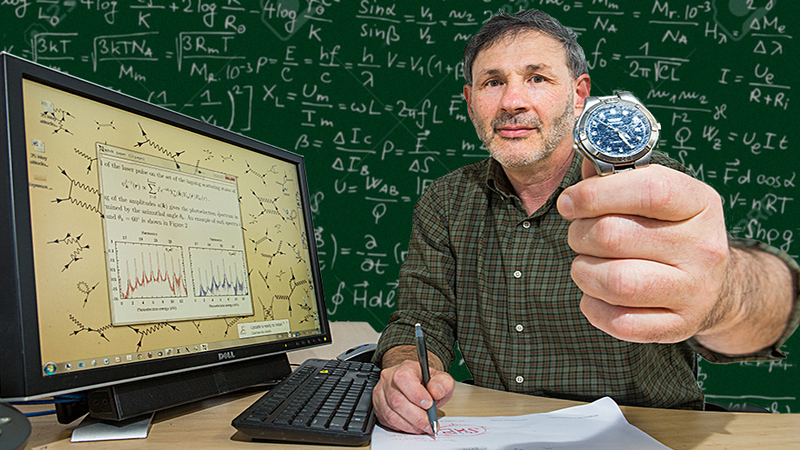 But the mathematics says the time during tunneling is imaginary – a complex number – which we realised meant it must be an instantaneous process,” said Professor Kheifets. “A very interesting paradox arises, because electron velocity during tunneling may become greater than the speed of light. However, this does not contradict the special theory of relativity, as the tunneling velocity is also imaginary” said Dr Ivanov, who recently took up a position at the Center for Relativistic Laser Science in Korea. The team’s calculations, which were made using the Raijin supercomputer, revealed that the delay in photoionisation originates not from quantum tunneling but from the electric field of the nucleus attracting the escaping electron. “It’s a good reference point for future experiments, such as studying proteins unfolding, or speeding up electrons in microchips,” he said.